Your opinion matters. Leave A Review Or Edit This Listing for West Orange Christian Service Center. 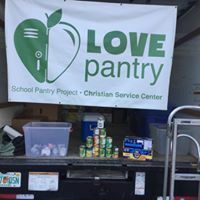 Offers multiple programs including Daily Bread (a hot meal available Monday through Friday), family emergency services and after-school program, as well as food pantry. Must be resident of West Orange to qualify for food pantry once every six months. For more information, please call. We always need more information on our pantries. If you know of any details, volunteer information, website, hours or more description information about West Orange Christian Service Center please add a comment (below the map on this page), with information. We will then display this for all visitors on this page.